Well this is my first article so go easy on me. A friend of mine asked me about this base and I figured maybe some other people could get some use out of it. I would also like to add that most of these techniques have been taken from others or from seeing other peoples work. That being said here it goes. This is what you need to create a melted snow base. 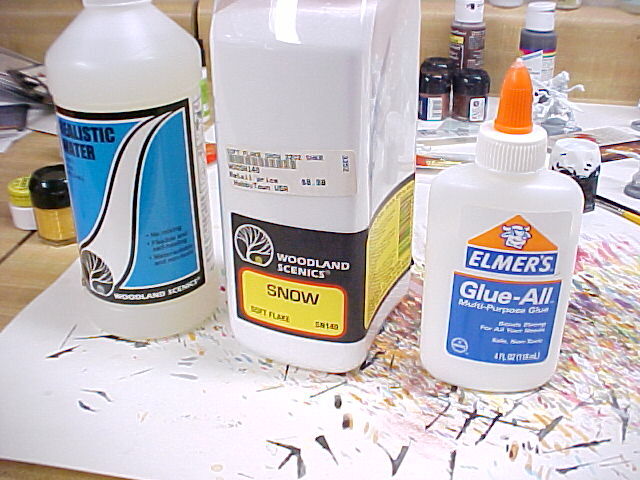 You will see elmers glue, realistic water and snow from woodland scenics. They have a website you can order from. I also find this stuff at most hobby stores. 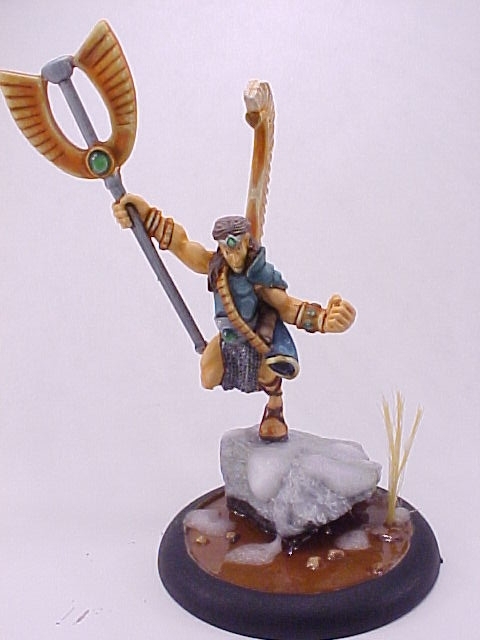 Next I get a base and I prefer the ones with the raised lip on them but any base will do. 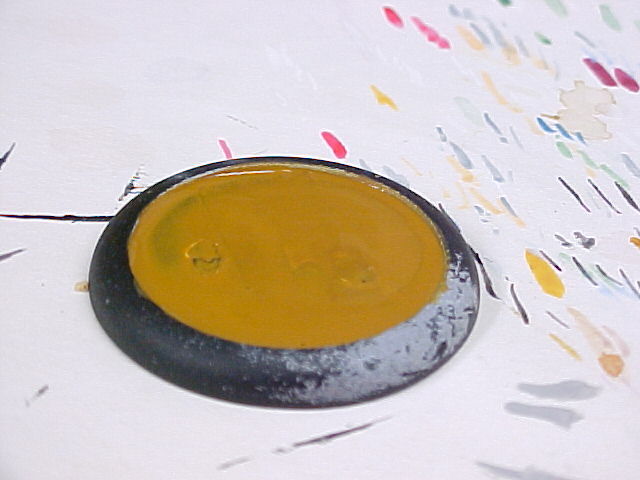 I paint the inside of the base a sienna brown color and let it dry. 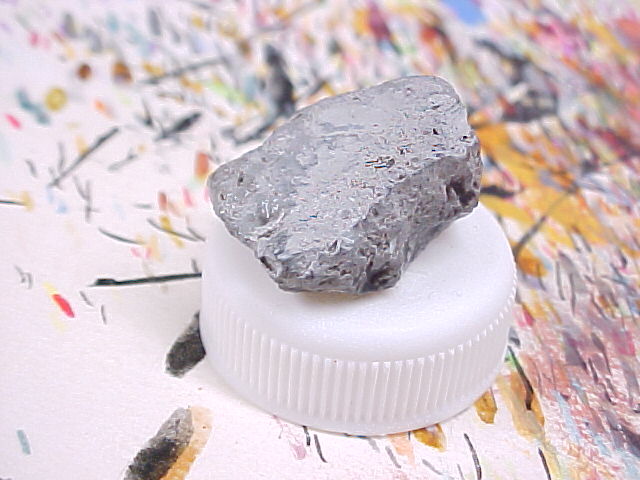 Then I glue the rock onto one side and position it the way I want. Once it dries I toss in a few pieces of static grass and some gravel. This is going to be the river bottom area and I want it to look as such, You can put whatever you want down for this effect. Also I dont use glue here because the water effect will keep it in place. 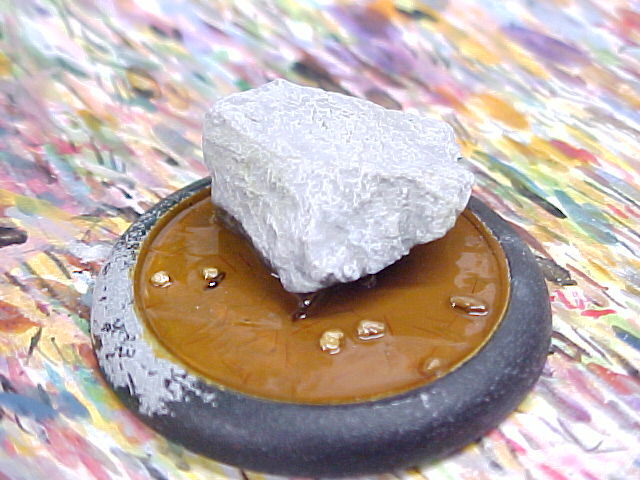 Next I pour in the water effect. This stuff is great and I highly recommend it for making water bases. It is the consistency of thin hair gel. I think it costs about $12 or so. I just fill the bottom of the base making sure there are no bubbles (approx. 1/8 inch deep). This stuff will shrink down quite a bit so I often put in a second layer. When it dries it is crystal clear. Now for the snow. 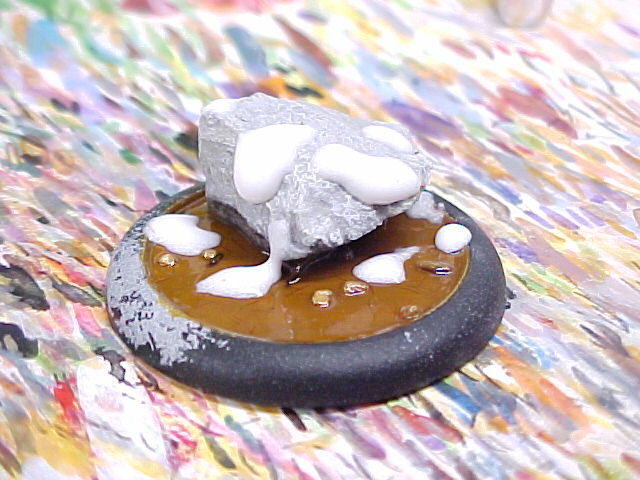 First I mix the powder woodland scenics snow with PVA glue. The powder snow is about like baking soda but slightly larger grains. When you mix it with the PVA I go for a consistency of toothpaste. Its very thick stuff. I then place in on areas I think snow would settle like the top on the rock or falling off into the water. When you first put this on it dosn't look right but when it dries it looks like slushy snow. Finally I might add some reeds or anything else you want to. 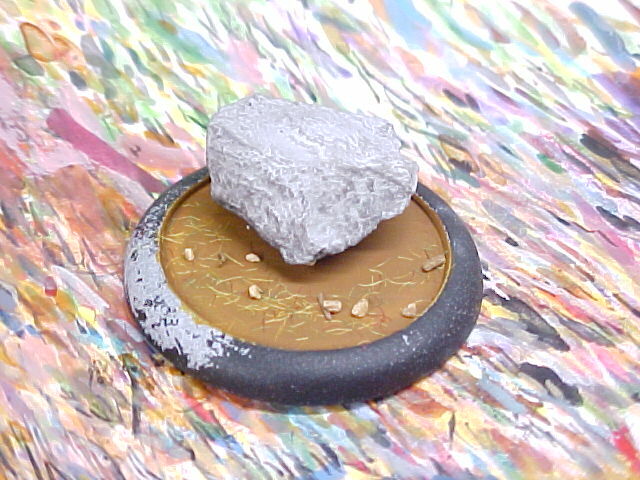 I glue the mini ontop of the rock and then paint the base (outside) black. Let it dry and your ready to go.